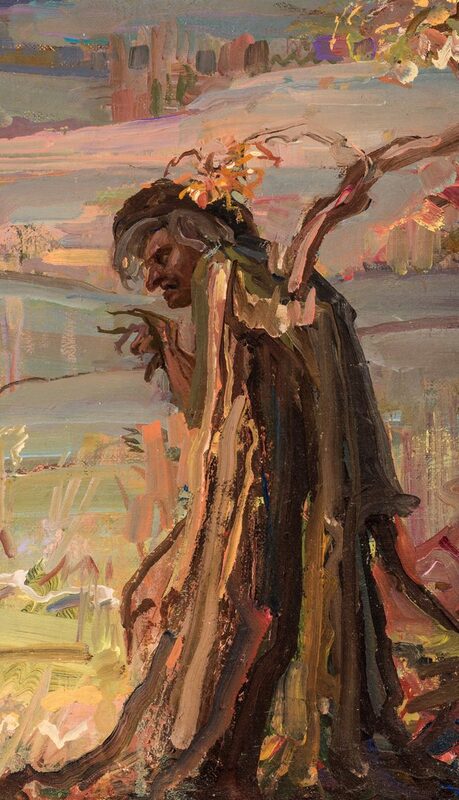 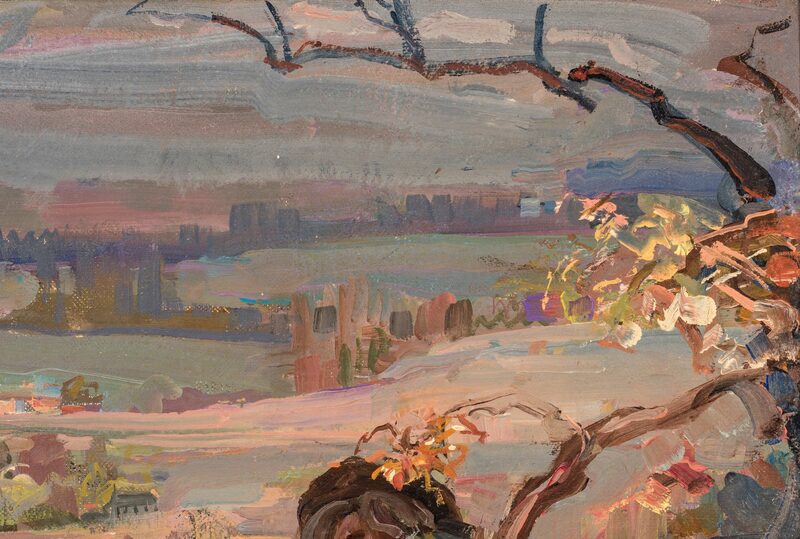 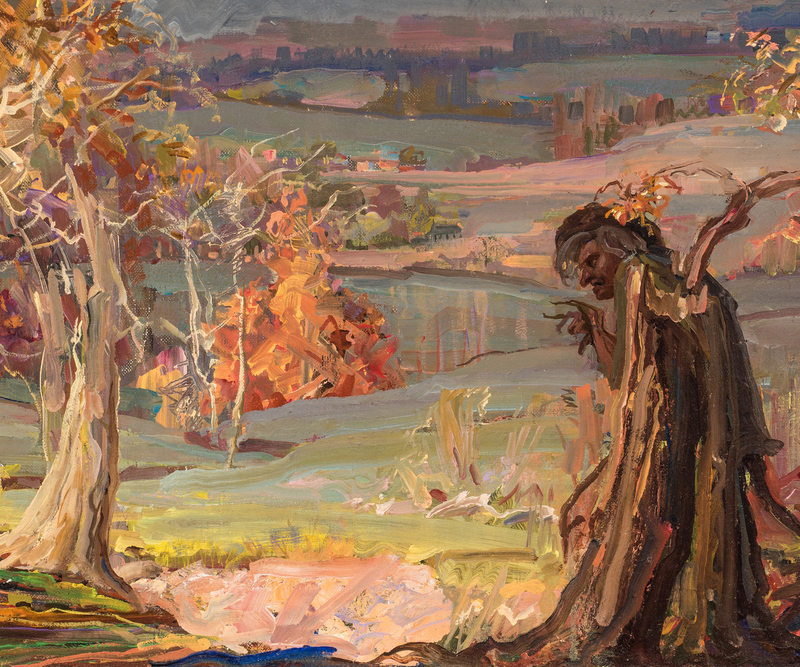 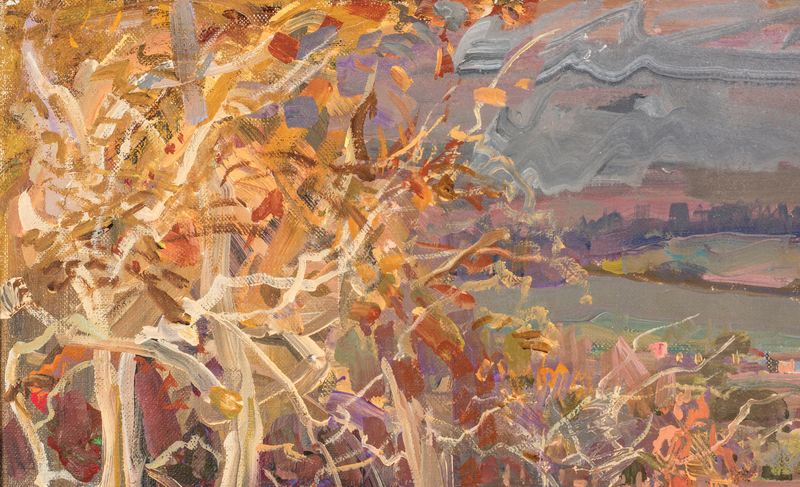 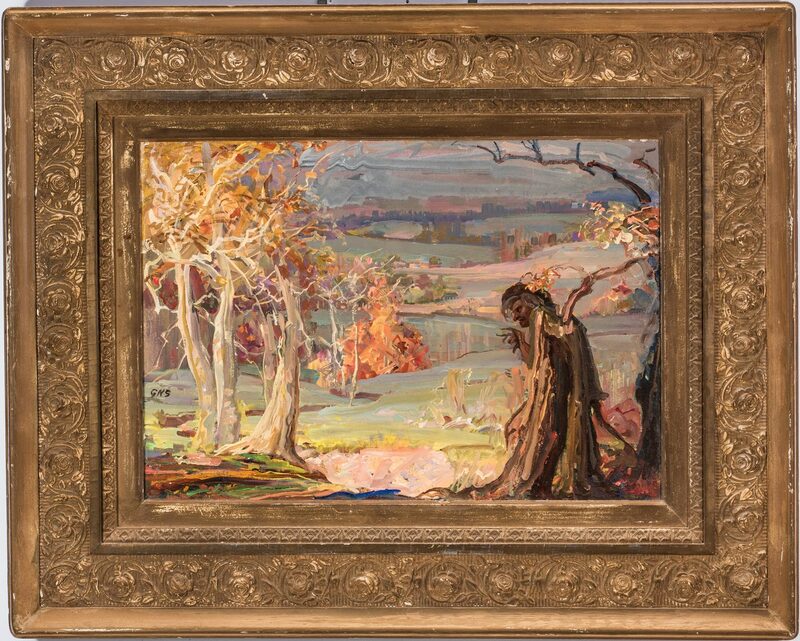 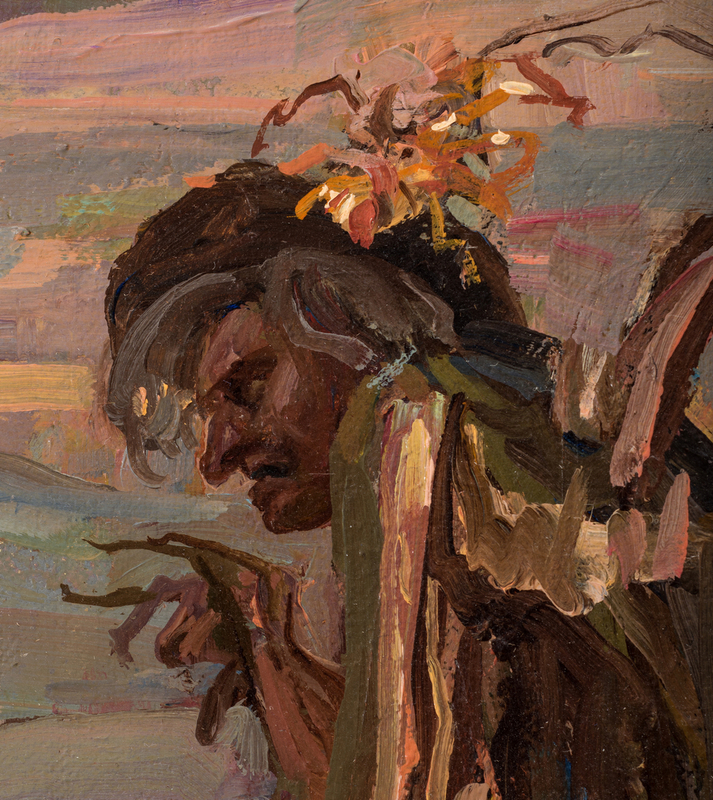 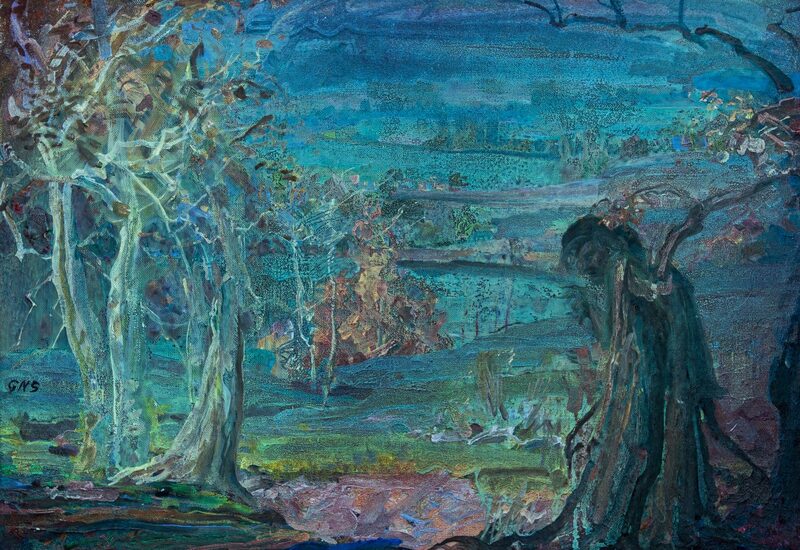 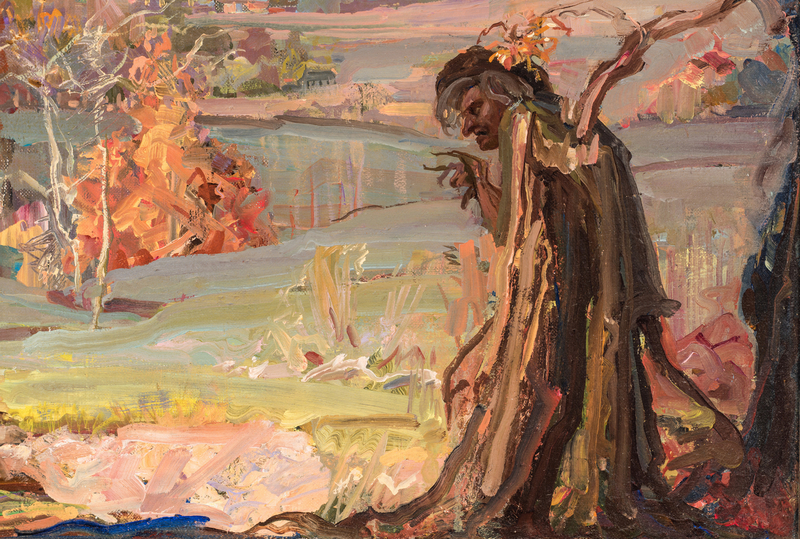 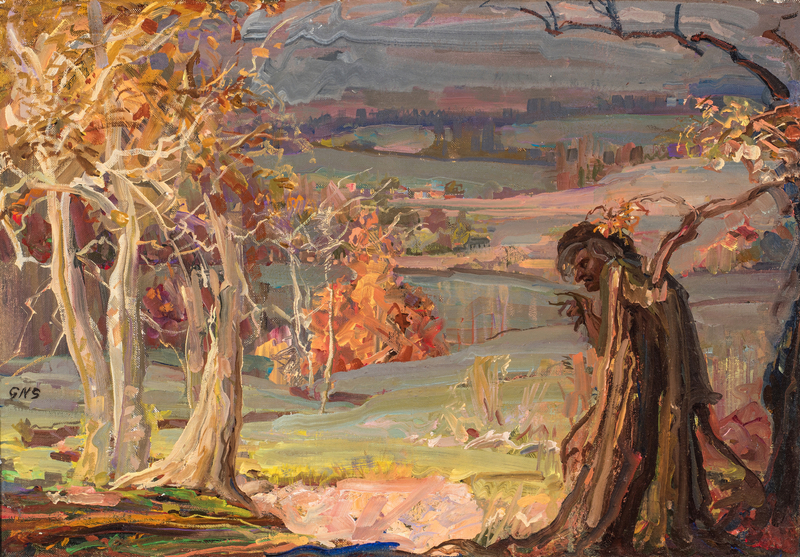 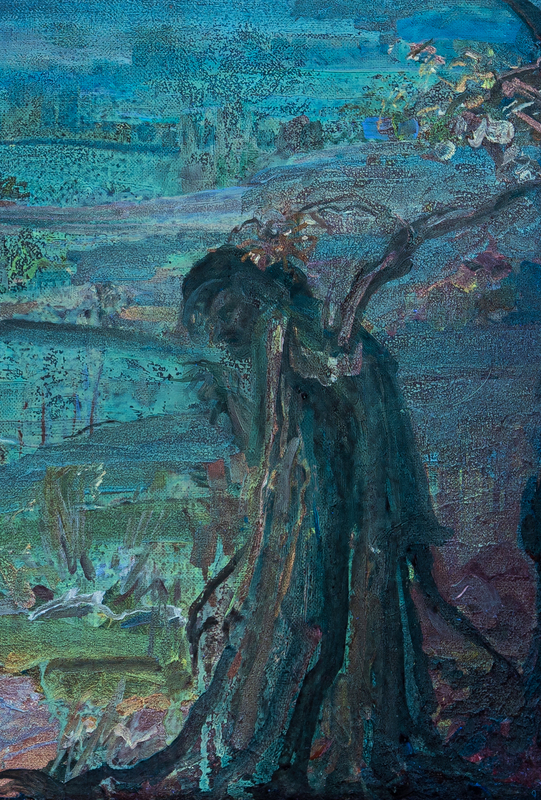 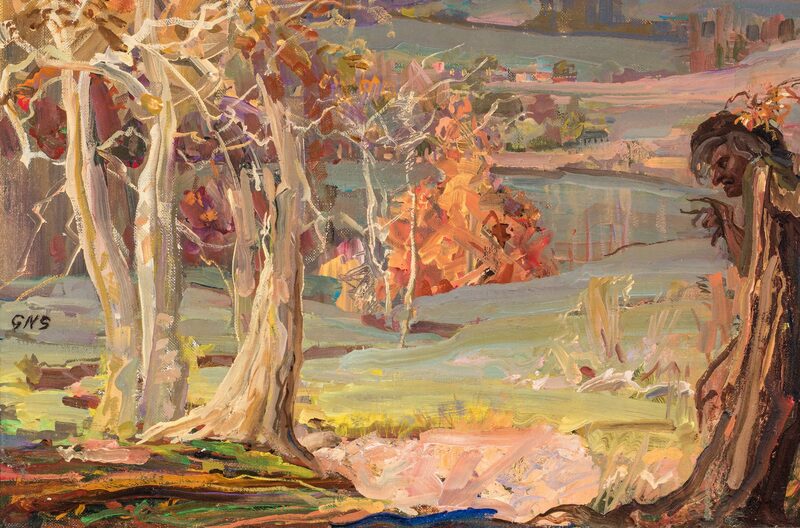 Lot 87: Gladys Nelson Smith, O/C, "Witches Wood"
You are here: Home >> July 14, 2018 Historic Summer Fine Art and Antiques Auction >> Lot 87: Gladys Nelson Smith, O/C, "Witches Wood"
Gladys Nelson Smith (District of Columbia/Kansas/Maryland, 1890-1980) oil on canvas landscape painting titled "Witches Wood" depicting an anthropomorphised tree with the face of a witch standing apart from a small thicket, with a field, a lake, and a village, background. 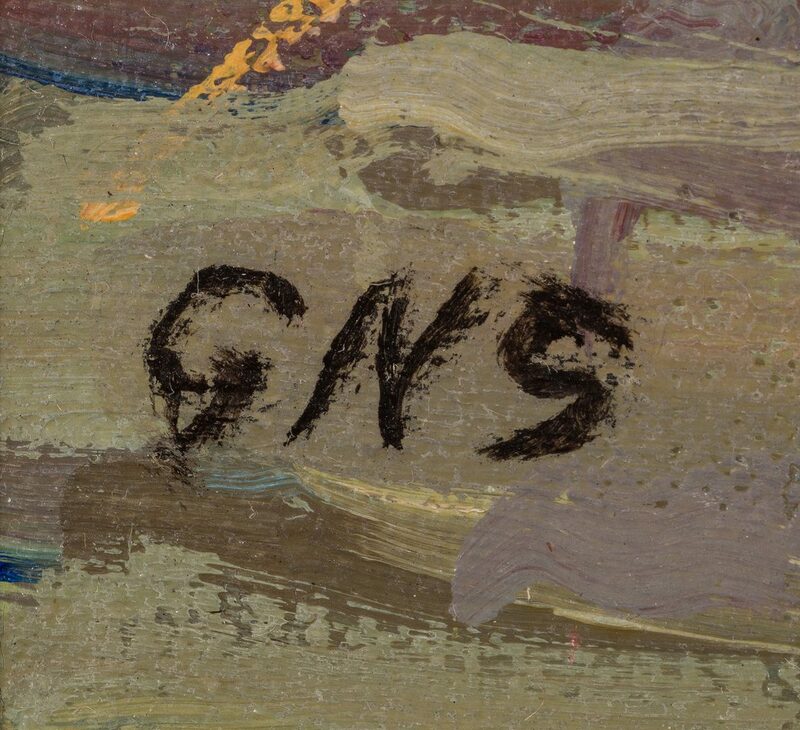 Signed with monogram "GNS" lower left. Titled with artist's name and dates, en verso. Housed in a gilt wood frame with carved rose running pattern and a leaf and dart rabbet edge. 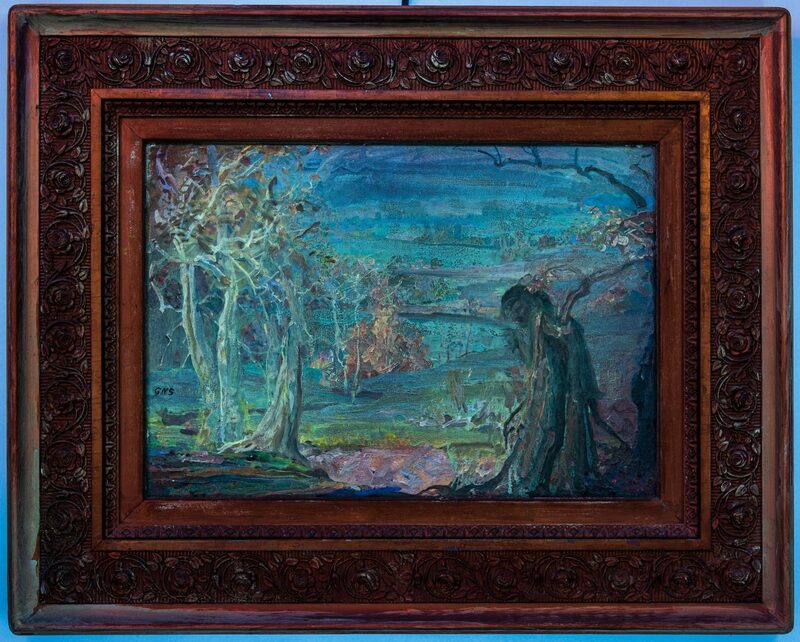 Sight – 13 1/2" H x 19 1/2" W. Framed – 23 3/4" H x 29 1/2" W. CONDITION: Overall good condition. 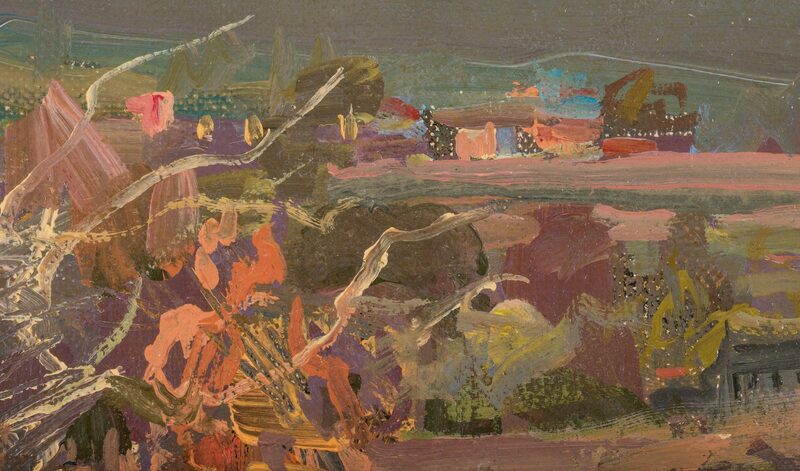 Few areas of rubbing, paint loss, largest 2 1/2", to edges of canvas. 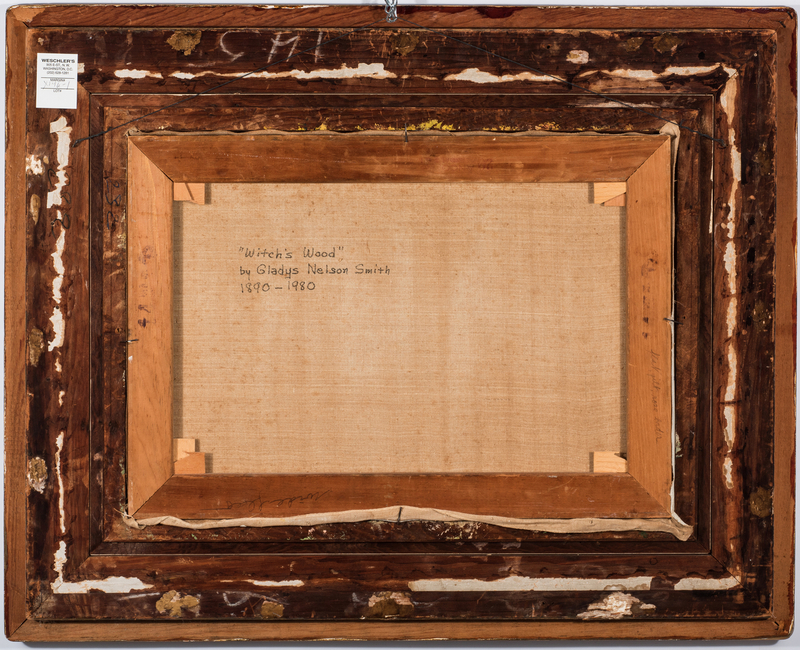 Areas of loss, largest 4 1/2", to gilt on frame.